Epsilon is an all-encompassing global marketing innovator. It provides unrivaled data intelligence and customer insights; world-class technology including loyalty, email, and CRM platforms; and data-driven creative, activation, and execution. Epsilon’s digital media arm, Conversant, is a leader in personalized digital advertising and insights through its proprietary technology and trove of consumer marketing data, delivering digital marketing with scale, accuracy, and reach through personalized media programs. It brings personalized marketing to consumers across offline and online channels, at moments of interest, that help drive business growth for brands. 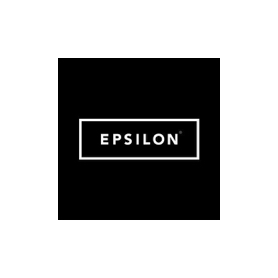 Epsilon has over 8,000 associates in 70 offices worldwide. Epsilon is an Alliance Data company. Work with a single partner to tap into the power of leading technology providers worldwide, for the ideal tech stack to meet your business needs. It will empower your marketing team with best-in-class technology, enabling you to engage customers with precision targeting and individually tailored content via marketing automation, predictive analytics, machine learning, and more. Wow customers into action with powerful, personalized creative. Epsilon’s comprehensive services include creative for events, videos, branding, advertising, websites, apps, social media, direct response, and multicultural audiences. Whether you need Epsilon to serve as your analytics team or as an extension of your own team, it will help you target, convert, and retain more customers.